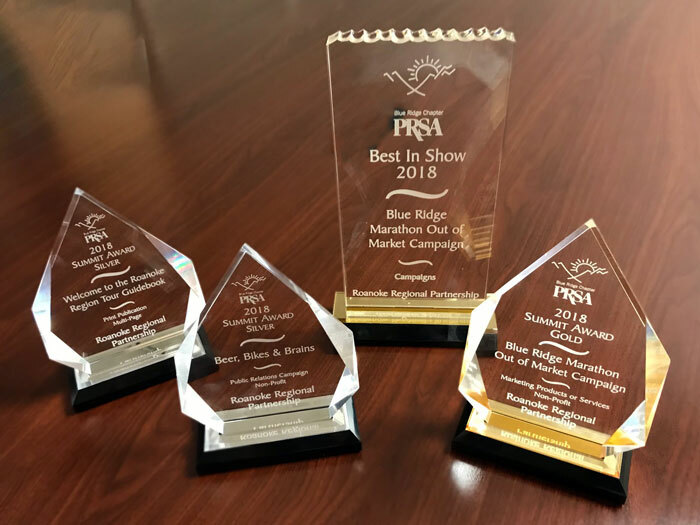 The team, led by Director of Communications Carrie Cousins, won Best in Show for the Blue Ridge Marathon Out-of-Market Campaign which also won a Gold Award for Marketing Products or Services. 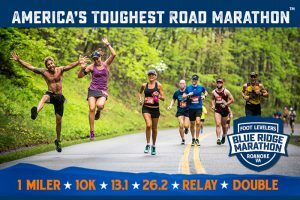 The Blue Ridge Marathon brings in runners from all over the world for America’s Toughest Road Marathon in Roanoke each spring. The “bucket list” race attracts tourists and enhances the region’s image. In 2018, runners from 39 states and 6 countries participated in the marathon, double marathon, half marathon, relay, and 10K. This campaign helped grow registrations which increased the economic impact of the event by 10.7 percent. 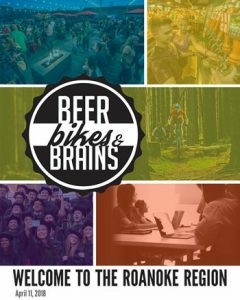 Beer, Bikes & Brains describes the people, businesses, and culture of the region. The Roanoke Regional Partnership created the slogan to tell a story that people could identify with the region and would want to share. The slogan expanded into a full campaign that is a driver for media attention and market differentiation. In April 2018, the Partnership hosted a familiarization tour for out-of-state consultants and media. The Welcome to the Roanoke Region Tour Guidebook was distributed to each participant and available digitally after the event to provide an overview of the region and information about stops along the tour. Having successfully promoted the region as a business location with Roanoke.org and rebranded the region’s image with RoanokeOutside.com, the Partnership began generating conversations with young professionals seeking employment and an ideal community to call home. 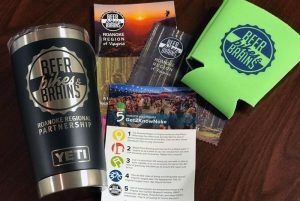 The Roanoke Regional Partnership, celebrating its 35th anniversary, is a public-private organization tasked with business investment, outdoor asset development, market intelligence, and talent attraction for a region that includes Alleghany, Botetourt, Franklin, and Roanoke counties, Covington, Roanoke, Salem, and Vinton.